Laurence Fortin, CHST, CRIS is a Risk Engineering Consultant for Zurich North America. Zurich is a leading commercial property-casualty insurance provider serving the global corporate, large corporate, middle market, small business, specialty products and programs sectors. 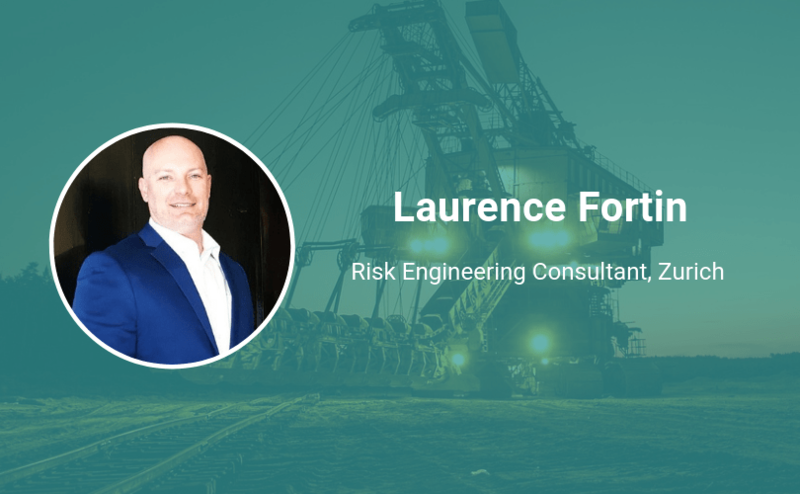 As a Risk Engineer, Laurence spends his time working with customers and brokers to provide meaningful insights on industry exposures and develop tailored, flexible solutions to manage risks more effectively. What is behind his—and the company’s—success? A focus on continuous improvement and a deep pride in excellence. Continue reading to discover the situation that happened years ago that he still thinks of and is reminded of each week, to do this day—and the company he admires in terms of its approach to safety. Yes, being thanked by an employee at a company picnic in front of his children for helping Daddy get home safe every day. This was years ago but I still think about it at least once a week. What company—other than the one you work for—do you admire in terms of their approach towards safety? I really appreciate the company my wife works for, Sundt Construction. Everyone in the organization, from the President to the apprentice takes personal responsibility for safety. I wish more small contractors really took the time to understand that they don’t have to be big to be safe. In the US, the majority of contractors that make up our industry have less than 10 employees. This presents an opportunity for owners to show their employees and their families that no matter their size, safety is a corner stone of the operation. There are many free online resources from OSHA to get started on at least a compliance based approach. You can also contact your insurance broker or carrier’s loss control department to tap into additional resources for onsite visits, safety training, and program development.